Threat to remove powers of some councils. In a new twist on the housing crisis, the government is now blaming local authorities for the rising tide of homelessness. The situation is currently at a catastrophic level with thousands abandoned to emergency accommodation. Day in day out, parents in increasing numbers are seen walking the streets vainly waiting for a permanent home for themselves and their children. But now it’s reported that the government is holding some local authorities responsible for the chaos. In an extraordinary move, it is also threatening to remove powers of the particular authorities unless they get down to tackling the widely condemned housing and homeless situation. 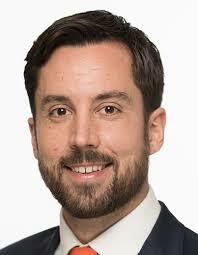 Housing Minister Eoghan Murphy is said to have warned that he would be “calling out” councils that have not done enough to date. However, a crusader for the homeless, Fr. Peter McVerry has said that the problem is government policy. Nearly 86,000 households are currently on social housing waiting lists. Housing and homeless rally outside Leinster House. With pressure mounting on Murphy to resign, an organisation representing a number of housing and homeless campaigning bodies, Raise the Roof for Housing is urging people to get behind a major rally they are organising outside Leinster House on 3rd October. A large turnout of TDs is expected to take part.